Years back when I was still a student in primary school, I remembered my very first mask that I have purchased in Guardian, which was ' My Beauty Diary '. I have to confess that it was the first mask brand that I have approached and of course it was part of my childhood memories now, where it has accompanied me throughout my puberty period and grown-up journey. I guess My Beauty Diary is no strange to all of you if you do spend some time in SaSa and Guardian. 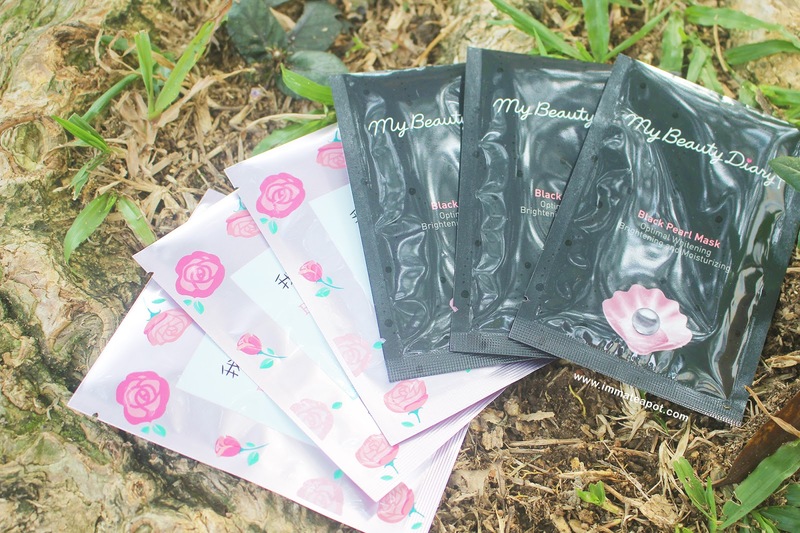 Founded in 2004, My Beauty Diary has been the most popular sheet mask brand in Taiwan, HongKong and Singapore, where it known for the Number 1 Best Selling Mask, with over 100 million masks sold in 2011. I have been trying out a lot of masks recently, but now I am back with my childhood mask brand - My Beauty Diary in this post. I am going to share two of my favorites masks series which I have discovered lately. 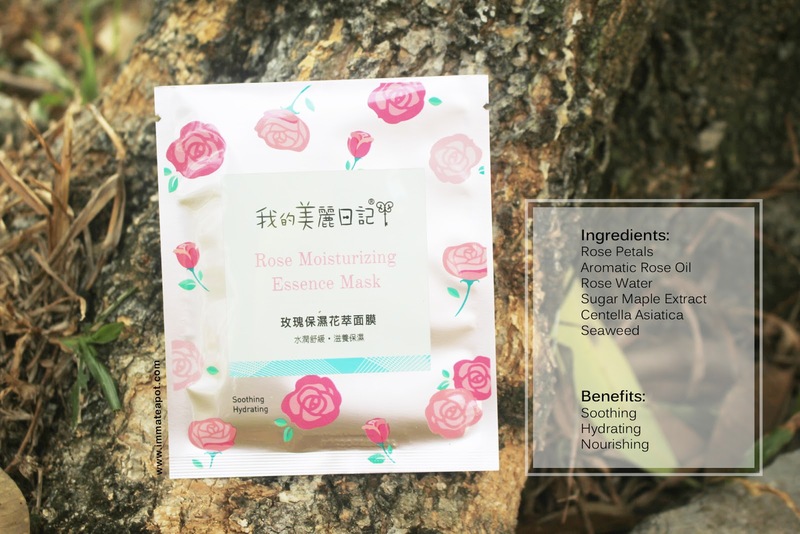 I am so excited to tell you guys that My Beauty Diary has actually come out with the Floral Essence Series and I am so happy that I got to try the Rose Moisturizing Essence Mask. FYI, I love everything comes in rose aroma! For girls, you will be definitely obsessed with the packaging like I do! The packaging is rather simple yet lovely, with different shades of rose illustrations scattered around on the light pink color reflective foil. Before application of mask, my skin was rather tired and dry. There were some light red blemishes around the nose and cheek. The mask contains Multi-Silk formula which is rich in silk amino acids, silk peptide and silk fibroin compound. It helps to swift up the penetration and absorption of active ingredients into the skin. 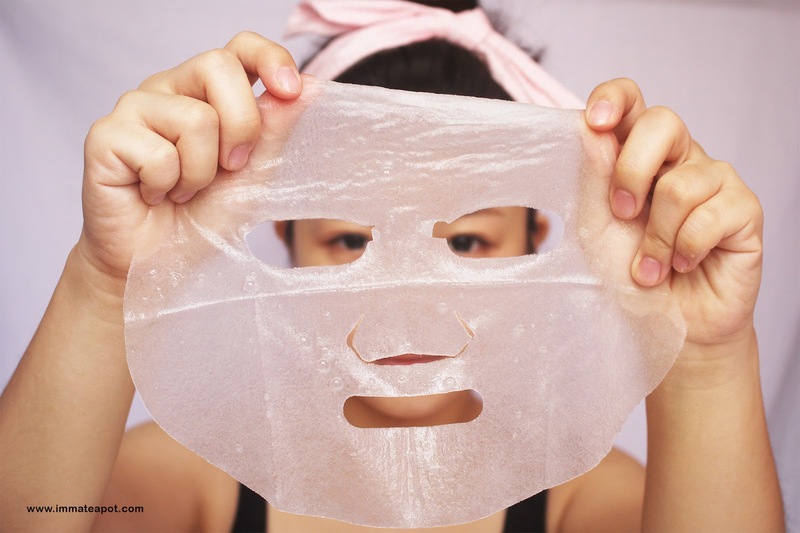 The mask comes in highly breathable and ultra-thin hydrating fabric, which is light and easily fit into the skin while intensively moisturized the skin in shortest time. I really love the rose scent so so much! So delicate and mild that it really helps to relax my mind while having the mask on my face. I love the size and shape of the mask as it fits really well on my face. I can even walk around without the need of worrying that the mask may fall. The mask is so smooth and soft, with generous amount of rose essence on till they were dripping! 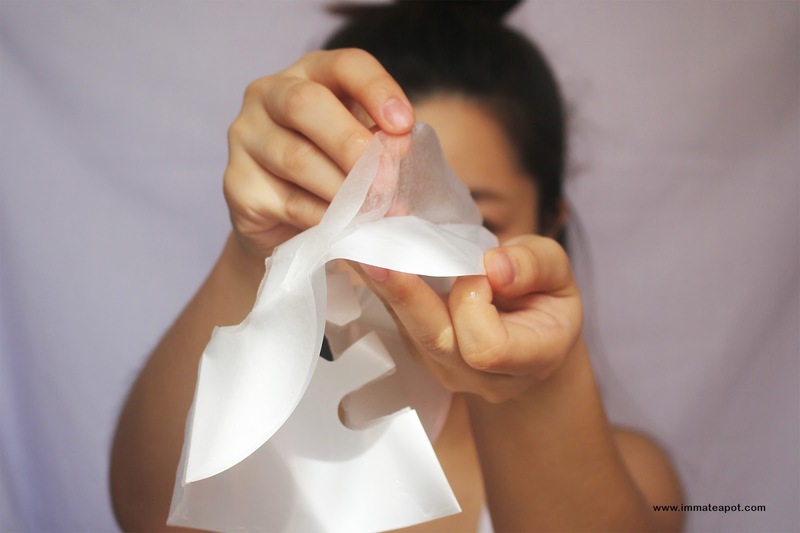 After application, my skin was so much moisture and I was surprised that there wasn't any single inflammation or irritation on my skin even though it was dried like a desert. My skin was so soft and supple, those red blemishes has diminished as well! 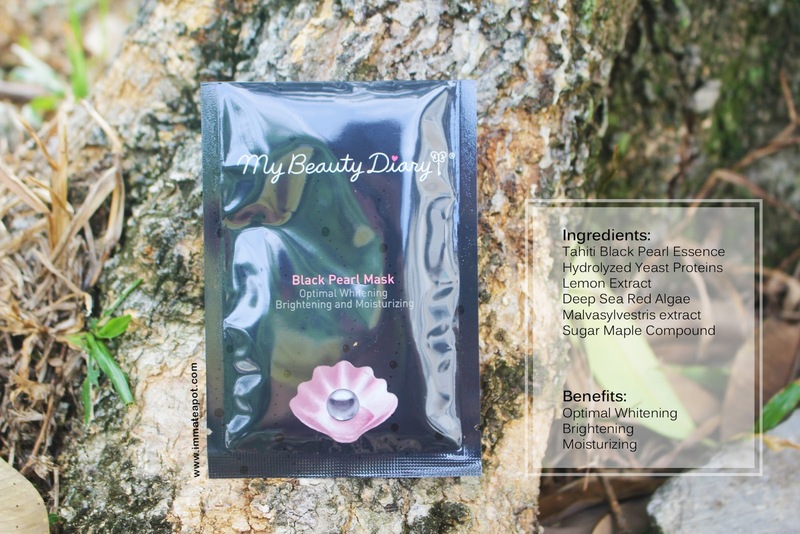 I can hardly find any whitening mask that really comes with the moisturizing benefits until I discovered the Black Pearl Mask! It comes in classy black color with minimal design on the packaging. The overall packaging gives an ocean kind of feelings with some repetition of bubbles illustrations where the pink seashell draws most of the attraction over the black background. Before application of mask, my skin was rather dull. My skin tone is absolutely uneven, especially under the lips and nose area, as well as forehead. 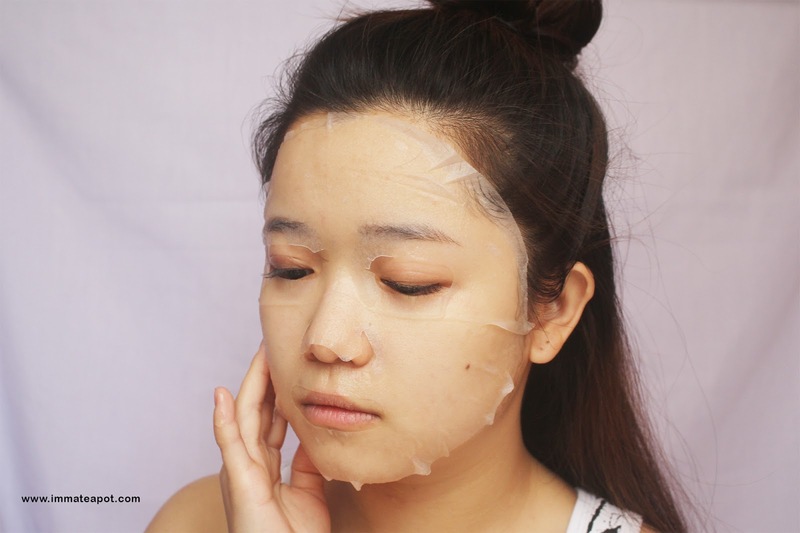 The mask sheet has improved from the previous masks with Super Ultra Thin Fabric Formula, as it is much thinner and fit better on the face. 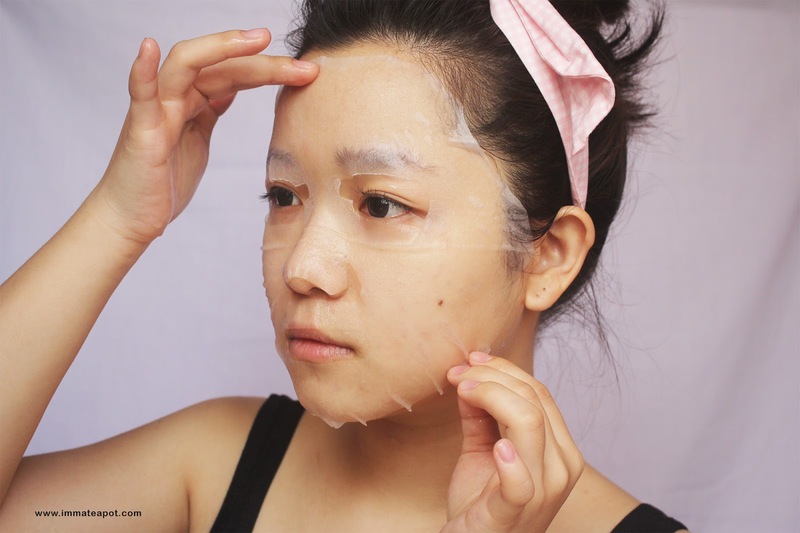 Besides, the mask is so soft and high permeability, that it carries 50% more essence as well as penetrate faster compare to the previous masks. 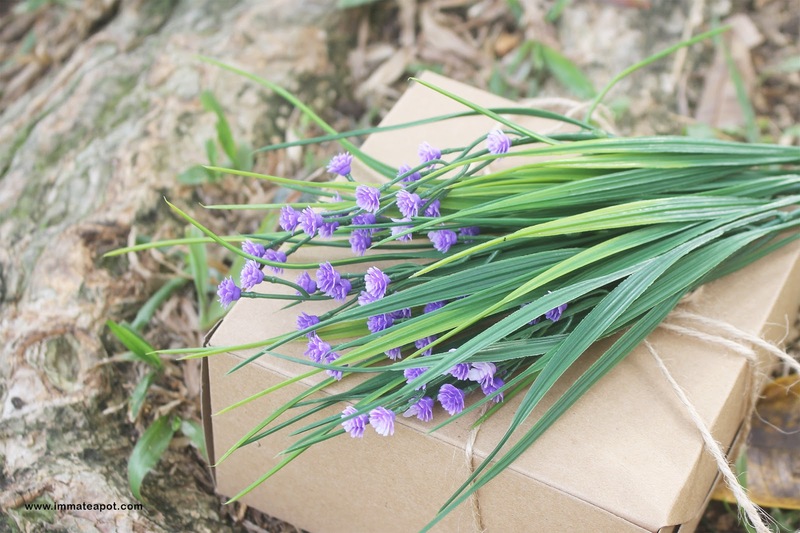 It comes with a light citrus kind of floral scent, which is really refreshing and energizing. Actually I don't feel any difference regarding on the texture of mask from both floral series and this, as both are equally silky soft and smooth! After application, my skin turned glowy and fairer! 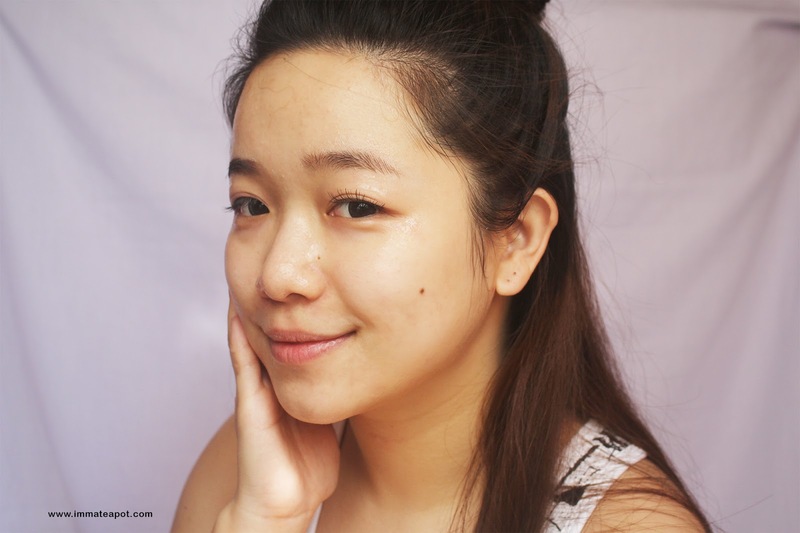 Beside brighten up my skin, I felt my skin is hydrated and supple soft! Say bye bye to dull skin, while welcoming an energized skin! 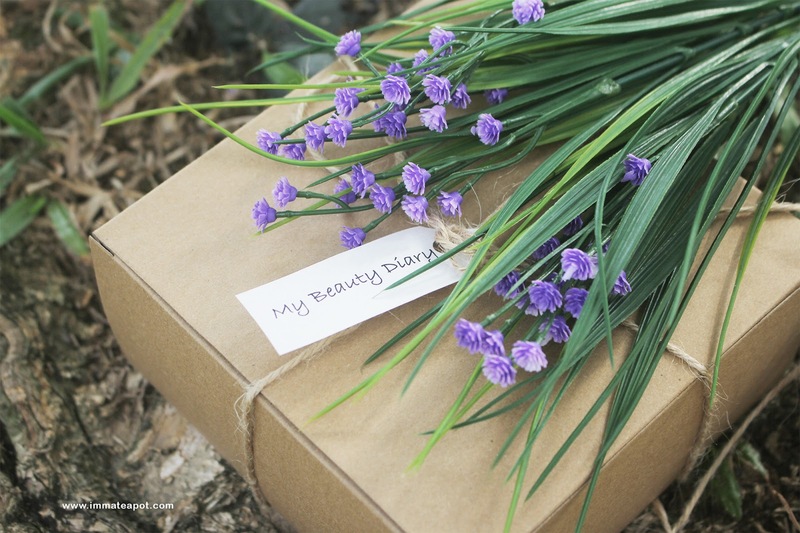 * All the products from My Beauty Diary are free from parabens, alcohol, mineral oils, artificial coloring and fluorescent agents. * All the products available in SaSa and Guardian Outlets. The price is reasonable, I have tried the black pearl's one before!Loving the improved mask sheet ultra thin fabric formula! This brand is the first mask that i use during my school time. Can't wait to try it again !! The black pearl mask attract my attention. Seem My beauty Diary has more choice of mask. The price also reasonable. I like how transparent the mask sheet is! I don't think I spent enough time at SaSa or Guardian as I have never heard of My Beauty Diary before. LOL However, I like your review and will go look out for these masks soon! Both of the mask looks really good! Would love to try both of these mask =D Thanks for your write up! A quite well-known mask brand over the years, but sensitve skin like me dare not to use at all. btw, you looks pretty and cute in half knot bun! My beauty Diary new series mask?? 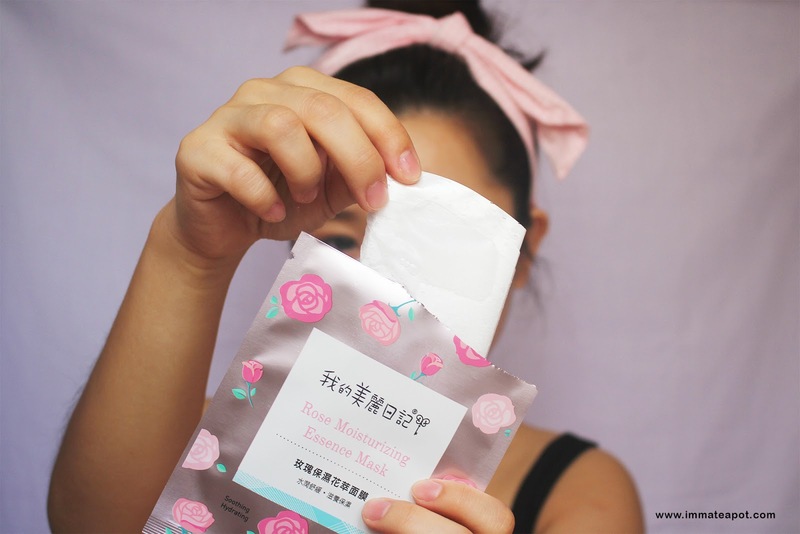 I love all mask with the Rose's scent, it really calms your skin and light up your mood as well! I love wearing masks too. Been eyeing My Beauty Diary for some time now. Once my stocks from Korea is out, will definitely gonna look out for My Beauty Diary. I love the their mask especially the moisturizing and nourishing bird nest mask.